I have had upset stomach for a few days this week and also knee pain (specially to my right) and what best way to remedy this is to visit a TCM practitioner. Thanks to a recommendation and a suggestion from someone (he also booked for me) for an acupuncture session, I am now looking forward to a better health & ‘Qi or Chi‘. Of course following a no-drinking-of-any-cold-nor-soda and no-eating-of-fried-food advise plus my drinking of the infamous chinese medicine concoction – a mixture of different herbs or roots or what not, I’ll surely be in better shape, health-wise. 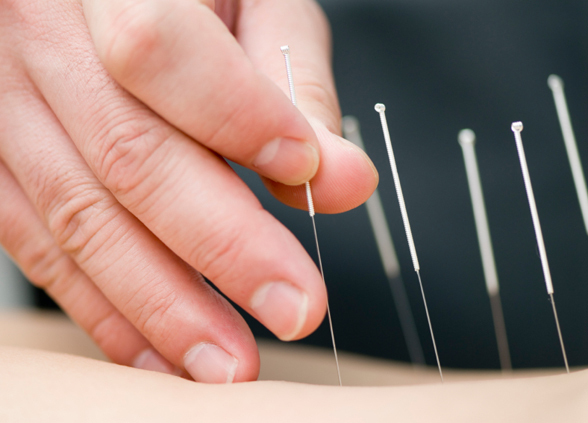 Dr William, the TCM practitioner, is absolutely wonderful! When I walked in he asked me to fill in a 1/4 piece of A4 paper (Cut in portrait – lengthwise), then he took my left arm, rested it on a small pillow and placed his 3 fingers (index, middle finger and the ring finger) on my pulse line. Each of each finger took turns in checking my pulse, explains that each represents something. Then he took my right wrist’s pulse – same way. He knew exactly what was wrong with me like a fortune teller! After a free physio session for my knee, he started placing the ‘needles’ for my acupuncture session and it’s painful! That was my second time ever and Dr William believed so much in “no pain, no gain”. Without pain, the whole session is useless, so if you want your money’s worth you’ll have to (and I quote) “enjoy” it. He asked me to imagine getting a massage/reflexology, instead of pressing the pressure point, it’s a deeper treatment because the needle acts as the pressure and he constantly pushes them deeper or moves it (i wasn’t so sure exactly how he was doing it) but whatever it is, it stings when the needle moves. After placing maybe 6 needles on my right knee, 2 on my right, 1 on my tummy area, one on my right neck (he also saw an upcoming cold symptom from my neck – he pressed a point at the lower area, back-ish area of my ear and asked if it was painful, and it was!). He left me to “enjoy” for 25 mins, relaxed and slept, then he came back to take off the needles. So yes, I have my chinese concoction drink to take in the morning (after bfast) and after dinner at night. I am starting to feel so beat now, that’s one of the effect of doing this ‘energy healing’ (as I call it). Dr William Lo is located in Flat 3, 20/F, Righteous Centre, 585 Nathan Road, Mongkok,Kowloon Hong Kong. You may contact him at +852 23866388. There was always something missing in my life and I always like to focus on the positive note despite what the circumstances are. Despite the business and projects I’ve had and this is where I feel kinda lost at the moment, is that I always strive to be better than what I am. For some people, it can be quite frustrating specially if we have different beliefs and culture. It is true that your environment, peers does affect and influence your decision making. Yet to be great, you’ll have to breakthrough all of these. Today, I’ve achieve something big. I have always been scared of drowning or the feeling of not being able to breathe. So despite of growing up in a tropical island of the Philippines for on/off 16 years, I never had the courage to swim nor attempted to even try. Don’t take me wrong, I love being in the beach or the pool specially during the summer but I just enjoy being in the water or bask under the sun and read. A good friend of mine has been teaching me how to swim patiently (from time to time whenever we get the chance to go to a pool) but for some reason, I always laugh when I do things incorrectly. He has always told me that as long as I spread my body and keep it straight that I will float. That phrase just hit me today! He once again showed me how it is and I tried it without any hesitation nor reservation and I did it! I am so proud of myself to overcoming that and now I am more excited to go swimming than I ever was before, because now, I can actually float! 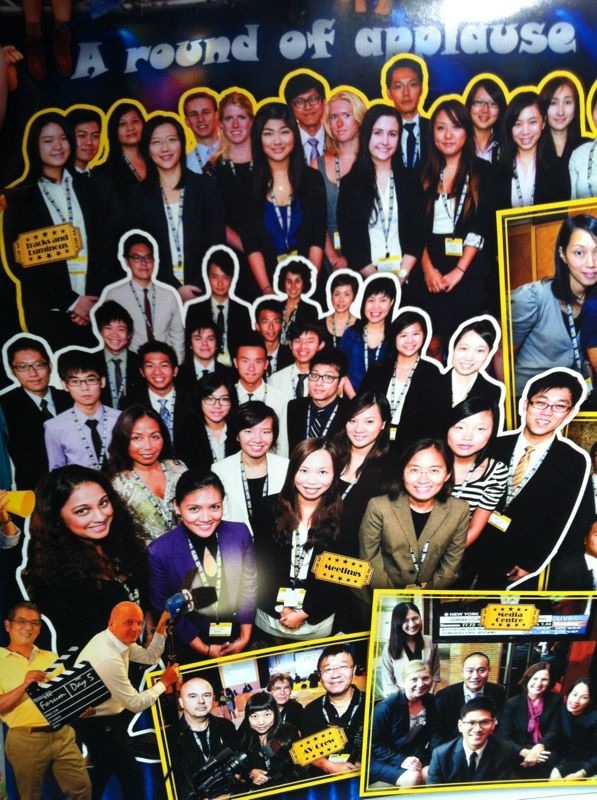 This is the time of the year (of every year – now my third year) temp-ing in CLSA and I heart it! While it’s all hard work, it’s also very productive and fun. I’ll keep an update at the end of the week. Meanwhile, I had a lovely time at Fofo’s, a contemporary Spanish Restaurant in LKF and the food is BEAUTIFUL!! as in yum! For starter we had “Vieras” Scallop Ceviche, avocado and crispy shallots, it is delish! Next was “Pescadita Frito” Fried white bait with alioli sauce – also super delish, like calamari style but its not chewy. We were then served the following dish which was the “Calamares” Pan fried squid with asparagus & “piquillos” peppers, omg! the sauce and the overall taste, super yum! Then we had the “Conchinillos” Crispy suckling pig with potatoes, onions & black truffle gratin and for dessert “Churros”. 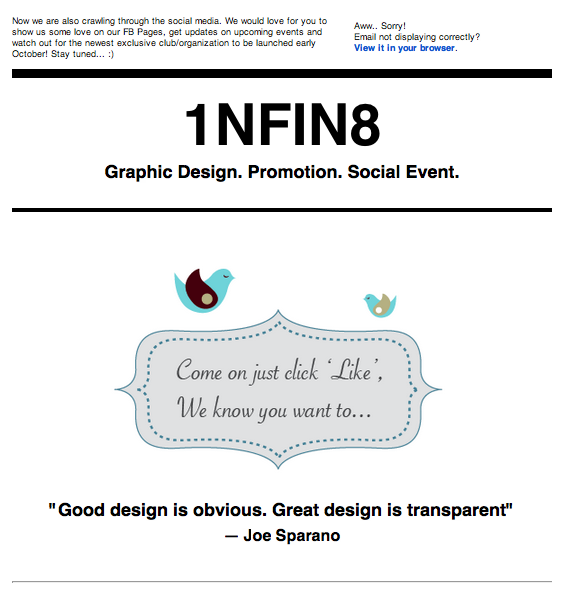 Just sent out an eDM today to promote the FB pages for 1NFIN8 and Defin8tion. At the same time, sent out a message just to get members, followers, collaborators and partners in the loop and as to what they should be staying in tune to. Hello everyone! Summer is finally over even though it still feels like it isn’t with the weather we are in. To add up, Defin8tion has been successfully well-received by many high-spirited business professionals, entrepreneurs,participants and members. We have organized social gatherings, networking events, product launch and food pairings & tastings in the past 6 months. We constantly look for partners to work with and even promote, so if you happen to know someone who you think might benefit in partnering with us, then feel free to send them our way. Please also “Like” our FB Page for DEFIN8TION. The weekend is over. Prior to that I have been occupied organizing and finalizing things with the Junkboat trip. We had a great mix of culture – Russian, Chinese, Japanese, Korean, French, Filipino, Indian, American, Australian, (hmm who else did I miss?) gathering together and with a great energy around us which was ecstatic! This is of the reasons why i love Hong Kong. You can very easily have friends from all corners of the world — HK is the “small world” for those who are expatriated or from other countries. I often hear friends saying they are neighbours from back home but never saw each other for many years until they came to HK! Although it was nerve-wracking to organize this, I pretty much enjoyed it and I wanna do another one. Perhaps towards the end of September. 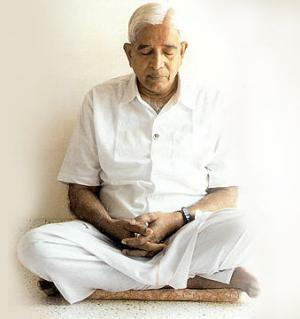 There are many versions for one to find inner peace. The goal of achieving “nothingness” or “emptiness”, as these are the most powerful achievement one can have. 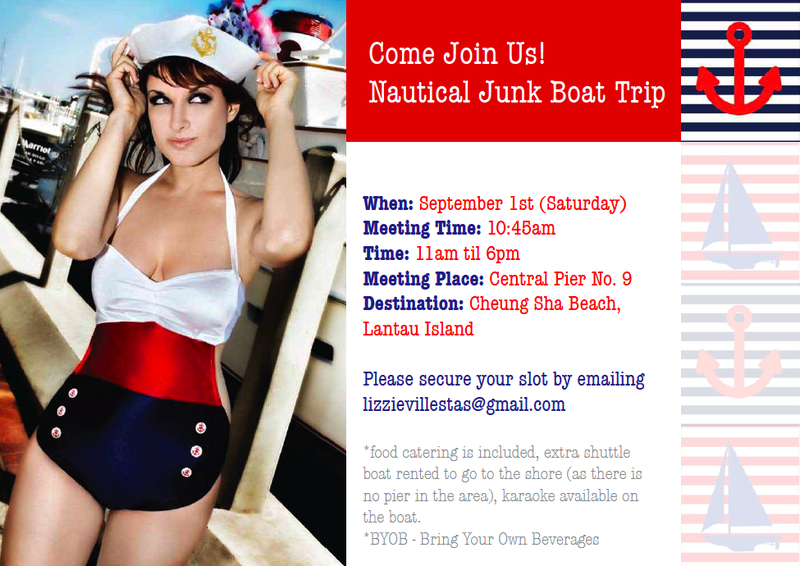 Haven’t been to a junk boat trip this summer, hence I’m organizing one just before the summer ends! Everyone seems to be busy and all our friends, acquaintances and even love ones doesn’t have the time to really see each other despite the size of Hong Kong! Oops, just remembered I think I have mentioned about it last Sunday. It’s looking brighter with positive outcome and I hope there are more people joining in. I am super excited that I don’t even care if I look unpleasant on a bathing suit! haha. Anyway, here’s a chance to also meet “new friends” and potential clients for business! You really never know where you meet your best customers, so I say just always be open to opportunities, be open-minded and have fun with whatever you do! Someone told me I analyze things all the time… Yes indeed I do. I only tolerate something that makes sense and I don’t have room for non sense. If the story is not consistent, it means you’re not delivering your message very well. In business, you have to be analytical so you know which one will work and which one needed more attention. Anyway, here’s an article from Entrepreneur for your reading… Enjoy! Here I am again, reporting on island golf club in tseung kwan o. We were there to hit some golf with Ken, Jennifer, Tony, Lumi, Masa, Marc and Marc. The place is alright, there were plenty of golf enthusiasts practicing their swings and some are having their lessons. We were there for a bit of a lesson from our guru-for-the-day Ken and Tony as they are the most experienced among the bunch. At the same time, we were having a good laugh, Tony drinking his beer while playing (where do you find someone like that! haha), and Masa uploading his photos to his Facebook instantly. We headed out for lunch with Tony, Lumi, Marc & Marc and Vincent (friend of Lumi) who joined us after the golf. We had a “Feast” in a thai & viet restaurant called Saimama just in the area and it was kind good. Not as amazing as our fave Thai Restaurant in Discovery Bay called Koh Tomyum, but was good. I was full to my throat with all the food that Tony and Lumi ordered. Marc, Marc & I didnt know they were ordering for the entire group, we thought we were ordering per person. So that plus what we had ordered brought us with plentiful of food, which was great and fulfilling.